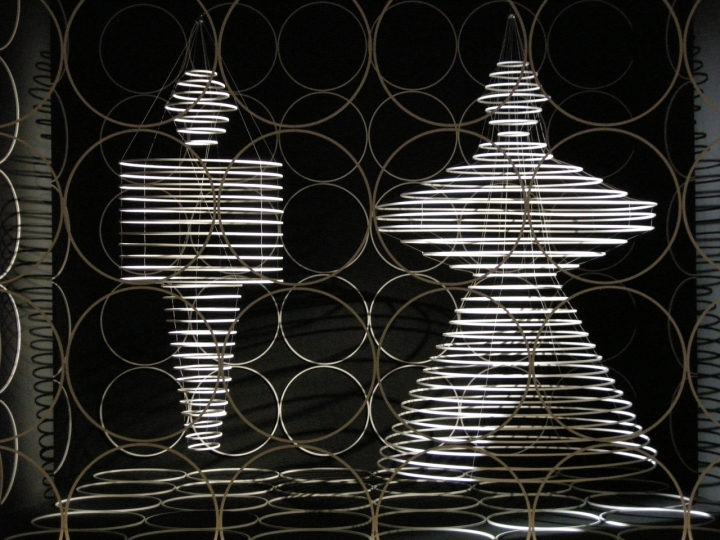 Oskar Schlemmer’s Prophetic, Dancing Robots #ArtTuesday « Adafruit Industries – Makers, hackers, artists, designers and engineers! 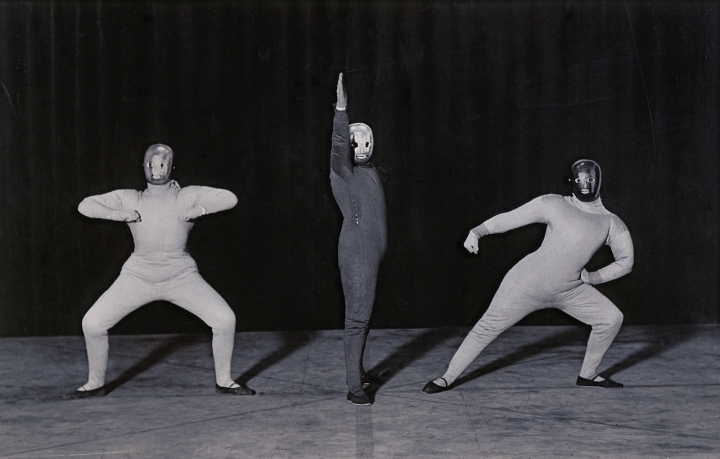 Long before Donna Haraway’s efficacious cyborg theory could exert its influence, German artist Oskar Schlemmer’s paintings, drawings, choreography, and costume and set designs featured flamboyant depictions of mechanic, post-flesh figures. Curated by the artist’s maternal grandson, C. Raman Schlemmer, Oskar Schlemmer: The Dancing Artist at the Centre Pompidou’s northeastern outpost beautifully displays how, by dressing his dancers in svelte outfits with geometric motifs and choreographing their sequenced dance motions into spectacular, machine-like repetitions, Schlemmer constructed a prototypical android realm. Using complex interplay throughout, his paintings and dance works follow a strange trajectory that mixes technological robotics with emotional appeals to a glorious past that has still not lost its grasp. 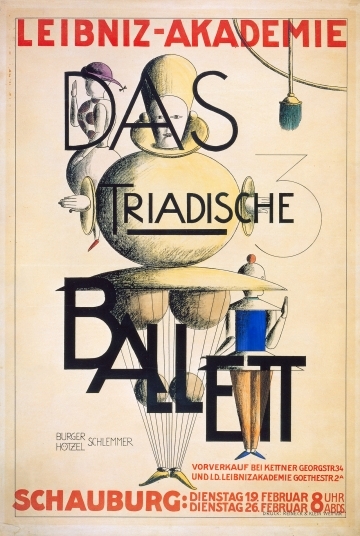 A versatile and multifaceted artist, Schlemmer was also a utopian with visionary intentions related to the goals of Bauhaus founder Walter Gropius’s concept of the gesamtkunstwerk. But his social-political allegiance was to non-Nazi nationalist ideals that jibed with a conservative romanticism striving for cultural renewal. His flair for a sincerely romantic and robotic approach to the automated figure reflects a notion of aesthetic synthesis intended to symbolize social synthesis within a benevolent, emerging techno-society.